The Historic Tax Credit industry has taken off since 2005, after years of stagnation since its introduction in 1976. While the use of Historic Tax Credits has skyrocketed, the cases involving the loss of Credits have gone up as well. 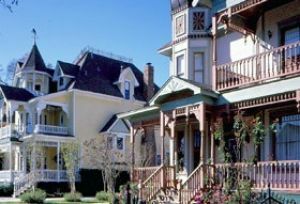 Historic Tax Credit Insurance is designed to help protect owners and developers against the potential loss or recapture of the Historic Tax Credit. National Trust Insurance Services (NTIS) has encountered situations where the Tax Credit was lost due to significant property damage during rehabilitation or post rehabilitation. In each case, the damage changed the significance and structure of the property, causing the building to no longer qualify for the Credit. NTIS has worked with several of our carriers to create insurance coverages designed to eliminate that risk. The financial loss of losing the Tax Credit could put an individual or organization out of business. Let NTIS help you eliminate that concern. For more information on the National Trust Community Investment Corporation, please click here.